Heard that Google had a conference bike on campus, but hadn’t seen it yet. 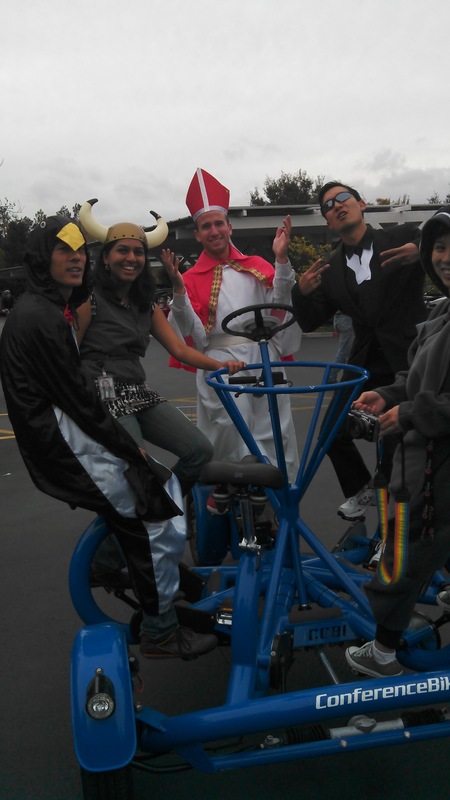 Bradley Horowitz posted a photo of Googlers in costume on it today and that looks like fun. Put a big bag of candy in the center and toss it out to the chitlins.